There are plenty of folks in contracting that aren’t aware of the benefits that commercial solar lighting can bring to a business. We’ve held conferences and meetings to discuss the benefits of solar with contractors and project managers that admitted they weren’t aware of what benefits solar can bring to their plate. Here’s a quick rundown of how a corporation can benefit from going solar. None of us like monthly energy bills, and we’re sure you won’t like getting a bill in every month to power 20 huge lights that burn for 10 hours a day. Skip the bill by using commercial solar lighting! Once the lights are in place, you won’t receive any energy bill because the solar lights pull power from the sun. We consider one less bill a pretty good thing. One benefit that’s often overlooked is that in the event of a power outage, the solar lights won’t be affected! They remain self-sufficient and independent from grid power, so rest assured in stormy weather or just a case of Murphy’s Law that these solar lights are immune. Keep your public area or lot shining while the rest of the area lies in darkness. Believe it or not, there are tax credits that you can earn simply by going solar. Filing for this tax credit will save you a strong percentage of mulah, so you’re not just saving on energy bills–you’re getting money back, too! The system pays for itself over time. There are more tax credits available by state as well. Be sure to do your research so you can get more back. 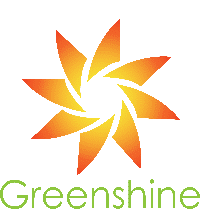 Greenshine New Energy is proud to provide business-owners and contractors the newest method of saving money: going green with your lighting system. Contact us today and find out just how much money you can save. Spend less, gain more! That’s just what we do here.